PRISTINE! This beautiful custom Craftsman styled home was COMPLETELY rebuilt in 2010. Attention has been given to every detail and many upgrades have been added since it was built 9 years ago! 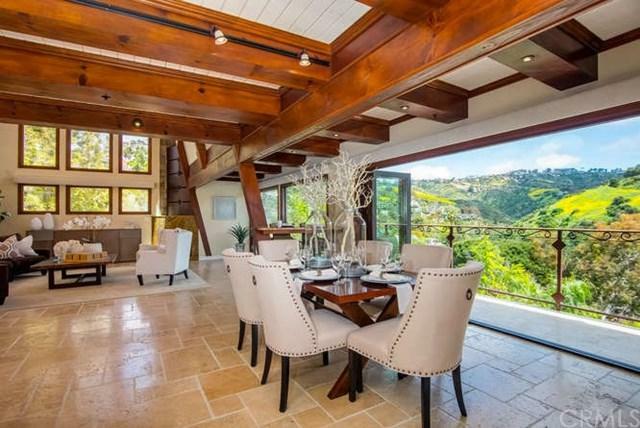 Dramatic CANYON and OCEAN VIEWS! Completely automated sun-shades on every window. GREAT LOCATION! Lots of street PARKING for guests. ATTACHED 2-car garage complete with 240V Tesla/electric car charger. Through the double front doors you will find dramatic high beamed ceilings and breathtaking custom woodwork making the home warm and inviting. This Craftsman classic contains 3 large EN-SUITE bedrooms with walk-in closets and 4 bathrooms. 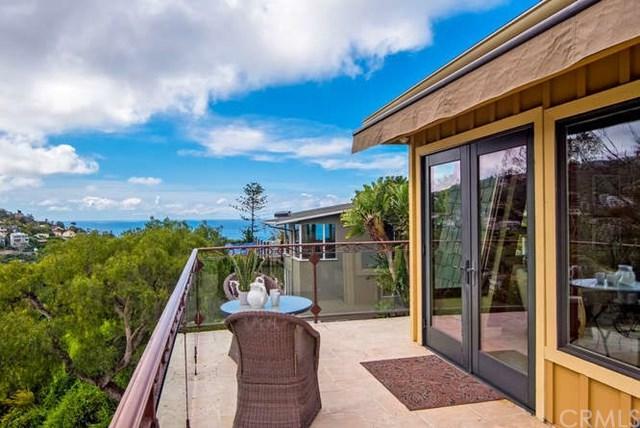 The top floor features the master bedroom with a balcony and ocean views. Pamper yourself with a double-sided fireplace between the luxurious master bathroom and the master bedroom. On the main floor you will find an OPEN FLOOR PLAN for your living space. High ceilings and a custom cabinet with TELEVISION LIFT and stereo sound system wired for your enjoyment. The kitchen is OPEN to the family room and dining room. 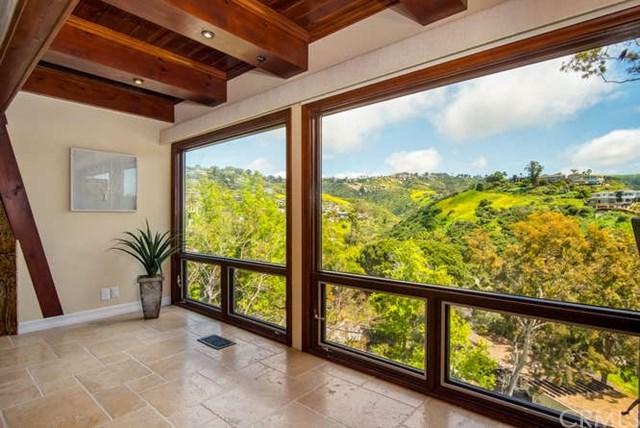 A FOLDING PANEL DOOR WALL opens to STUNNING VIEWS. The kitchen has all VIKING APPLIANCES, an island with bar, as well as an ENCLOSED GLASS WINE ROOM with wine fridge. There is even a separate STEAM ROOM on the main floor which is conveniently accessible from all the bedrooms. The built-in office is a must see! 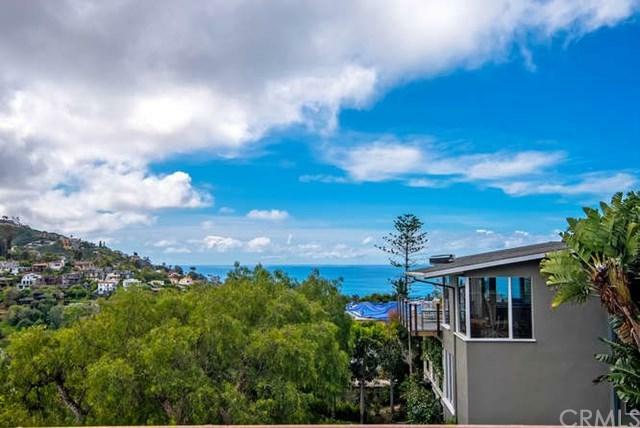 Please come visit this special property which is just minutes to all that beautiful Laguna Beach has to offer!